The driver is speaking english ; he will wait for you after the custom and you pick up your luggage at the exit of the flight with a signboard with your name. Airport Transfer . a driver will wait for you at the exit of the flight . 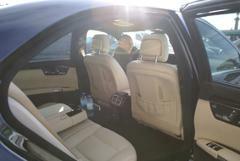 Versailles airport transfer . An English speaking driver will wait for you at the exit of the flight after pick up your luggage and pass through the custom. English speaking driver with luxury car like Jaguar or Mercedes , Minivan for 4 , Sprinter pmercedes for 8 or luxury minicoach . 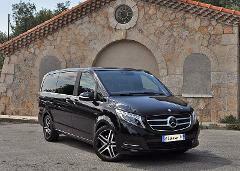 Professional English speaking driver at your disposal all over France with luxury cars . Private transfer From Paris Hotel to One nation Paris Outlet Center.